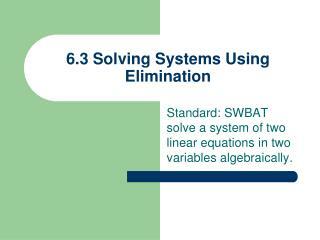 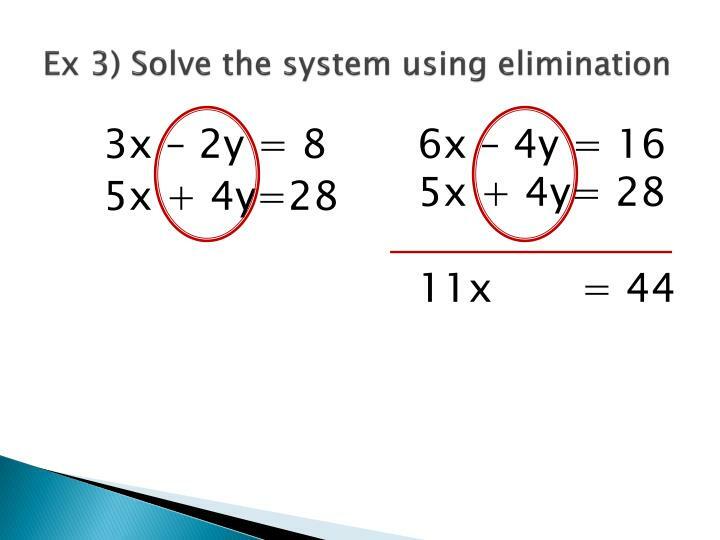 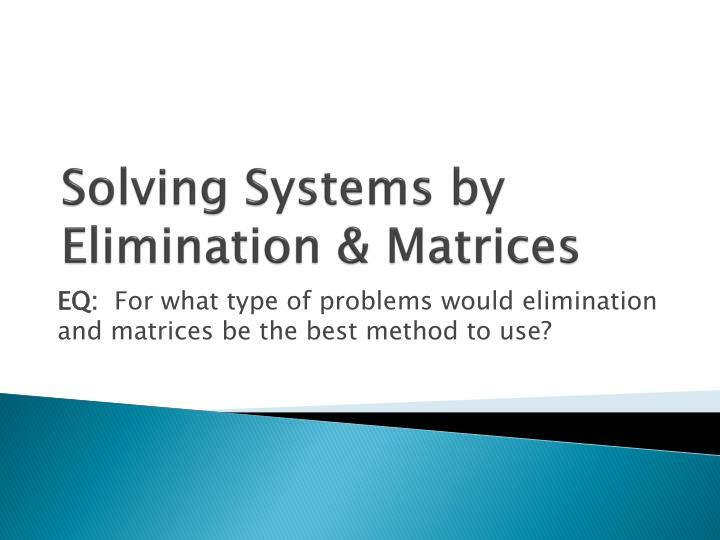 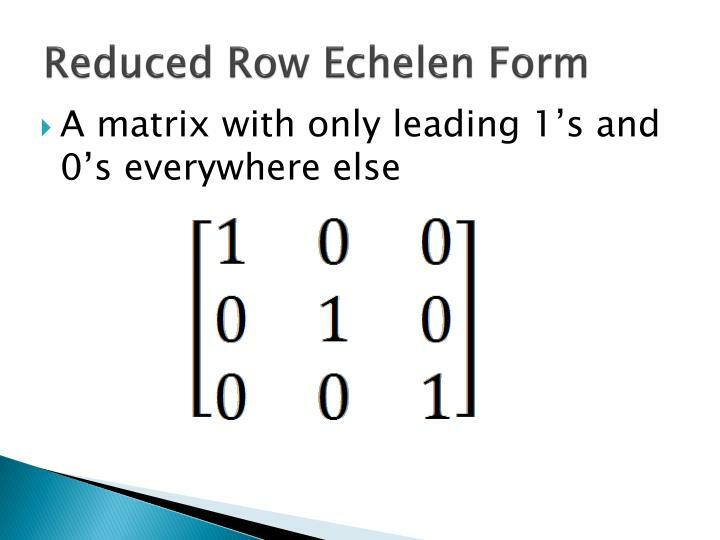 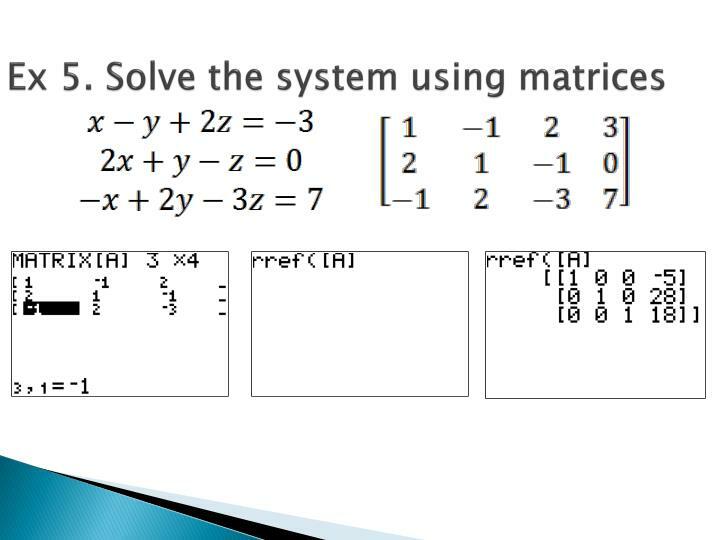 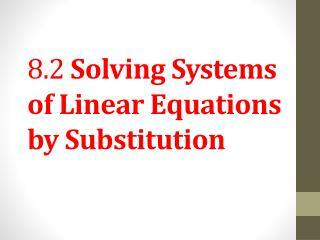 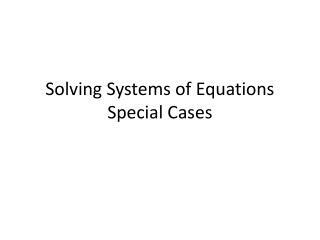 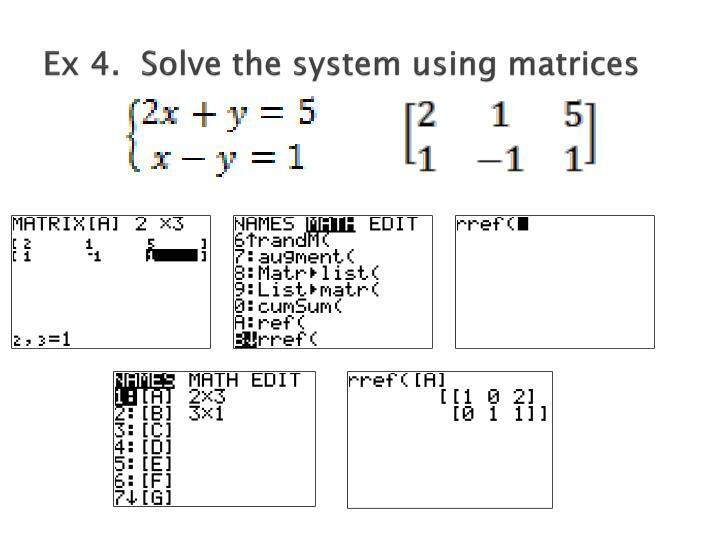 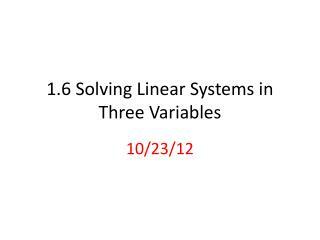 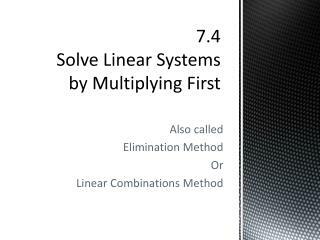 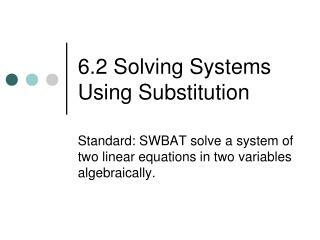 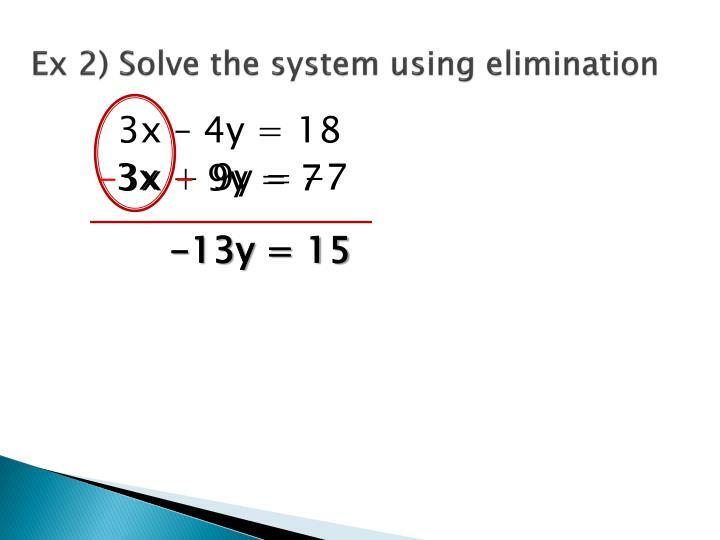 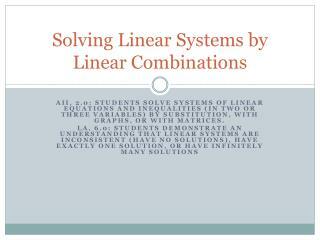 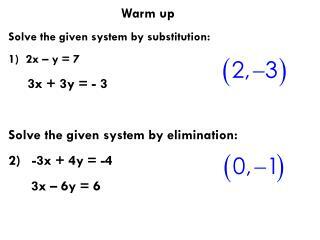 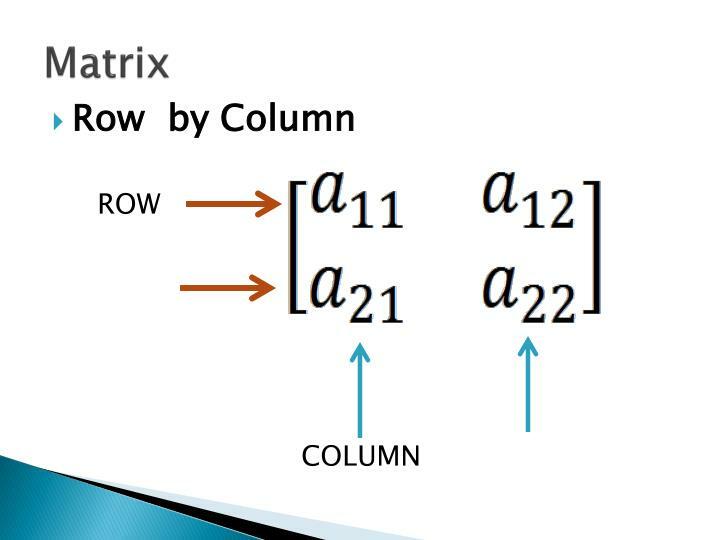 Solving Systems by Elimination & Matrices. 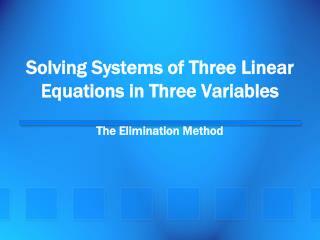 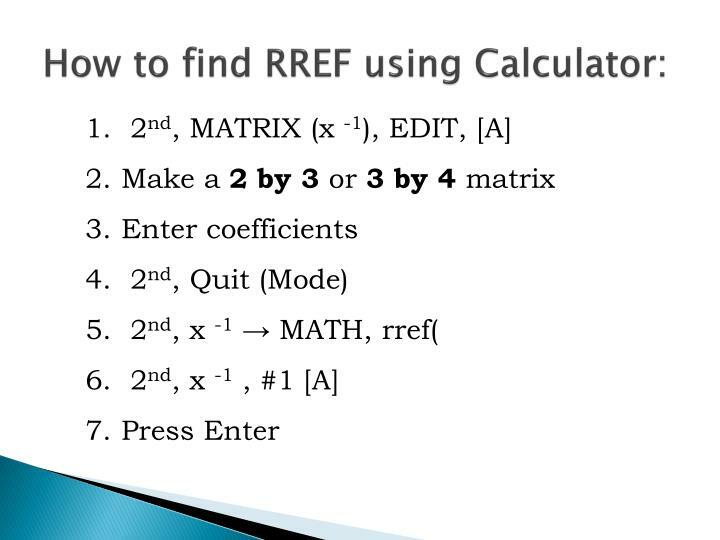 EQ: For what type of problems would elimination and matrices be the best method to use?. 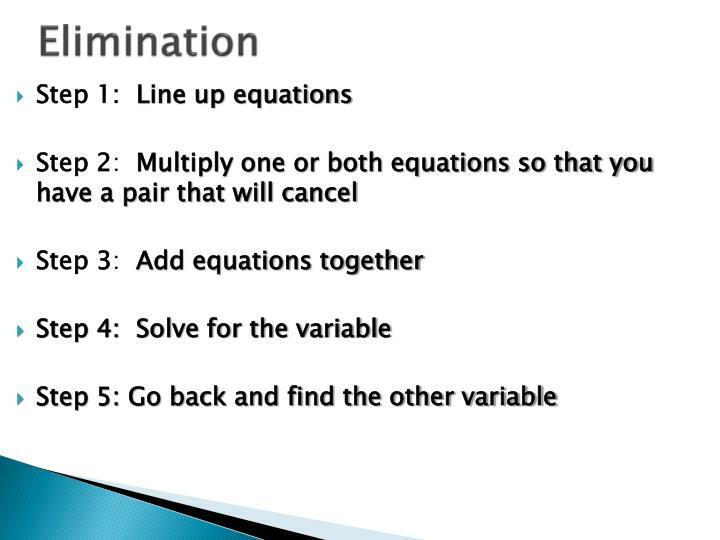 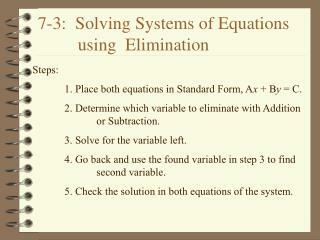 Matrices & Elimination. 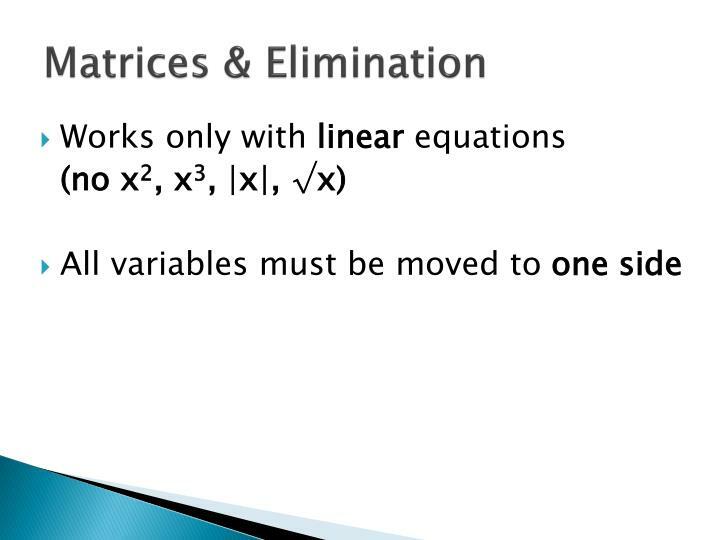 Works only with linear equations (no x 2 , x 3 , |x|, √x) All variables must be moved to one side. 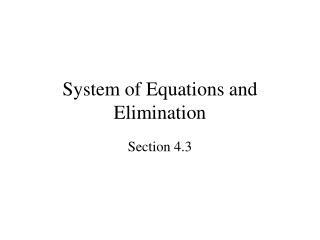 Elimination. 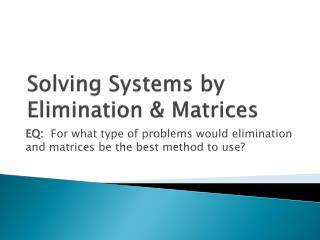 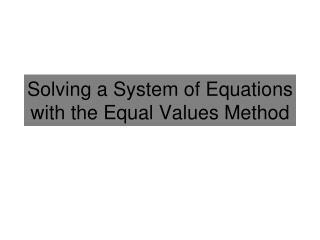 EQ: For what type of problems would elimination and matrices be the best method to use? 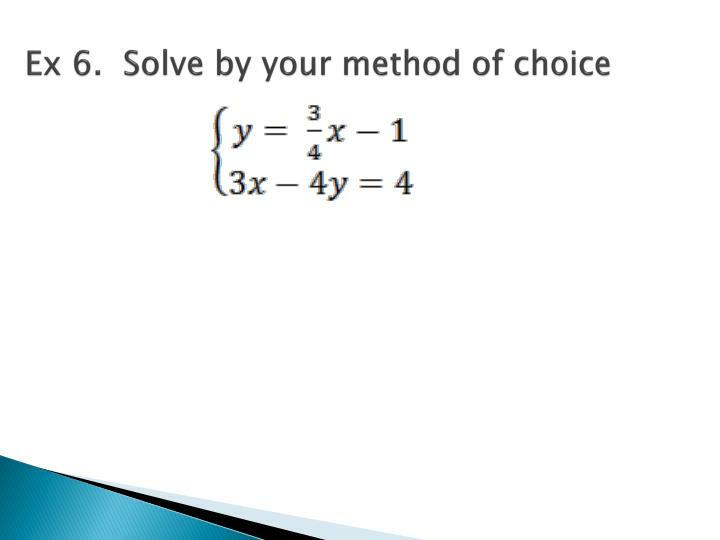 3.	y = -2x – 4 4. 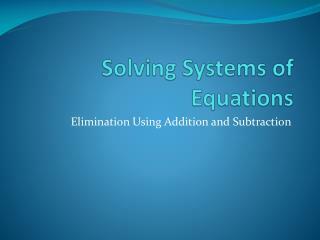 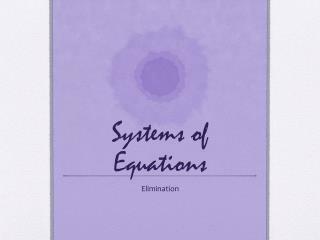 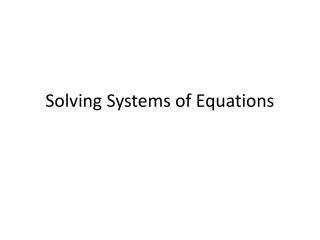 Solve Systems of Equations by Elimination -. 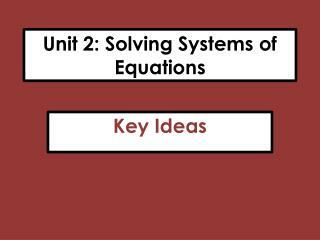 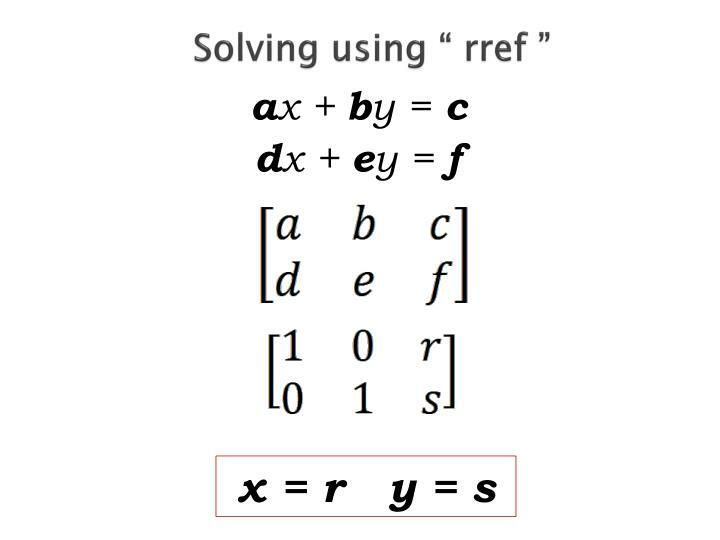 methods to solve systems of equations:. 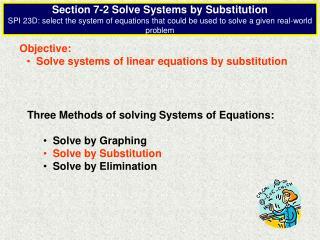 graphing (y = mx + b) substitution graphing with x- and y-intercepts. 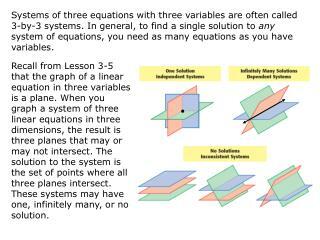 remember, to solve a system of equations, you are finding where the lines intersect . 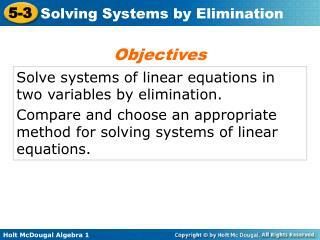 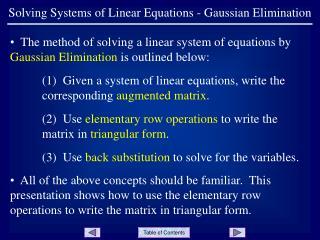 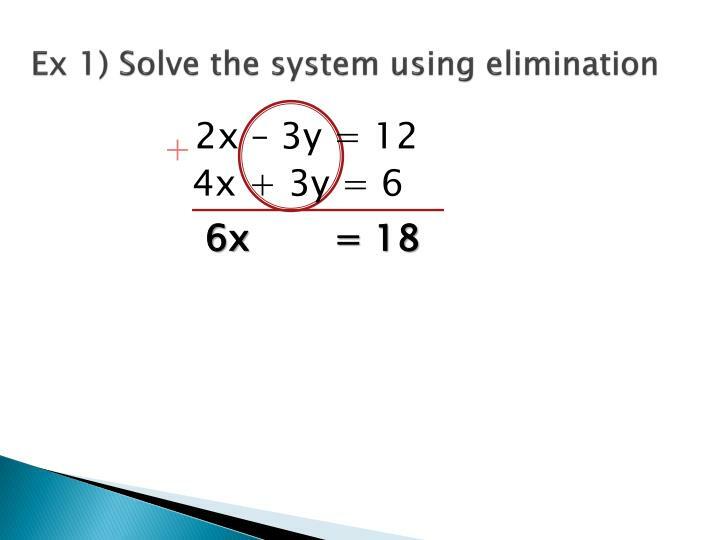 Solving Systems of Linear Equations - Gaussian Elimination -. 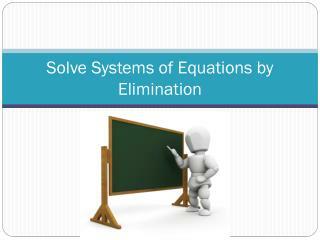 the method of solving a linear system of equations by gaussian elimination is outlined below:. 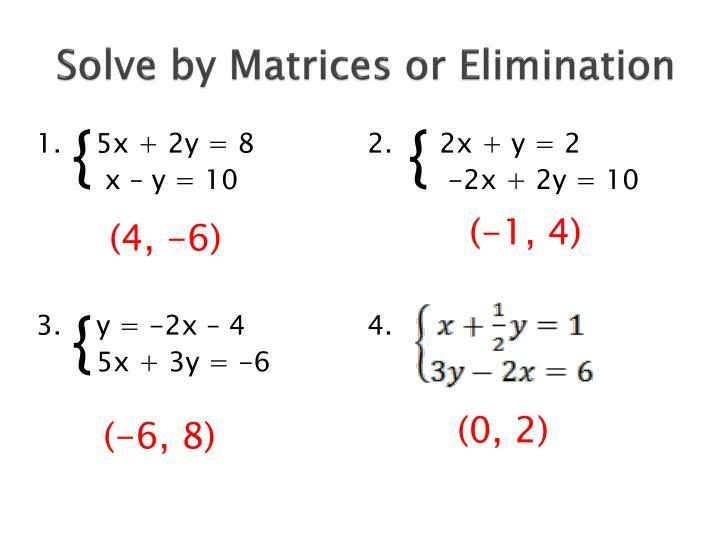 (1) given a system of linear equations, write the corresponding augmented matrix .